Lokakuussa julkaistaan suuri määrä AAA-luokan pelejä, joista kiinnostavimmat ovat takuulla Evil Within 2, Gran Turismo Sport, Forza 7 sekä Wolfenstein 2. Battle Chasers: Nightwar (PC, PS4, Switch) – 3.10. Dragon’s Dogma: Dark Arisen (PS4, Xbox One) – 3.10. Forza 7 (PC, Xbox One) – 3.10. Batman: The Enemy Within – Episode 2 (PC, PS4, Xbox One) – 3.10. Star Wars: Battlefront 2 pre-order beta (PC, PS4, Xbox One) – 4.10. Empyre: Lords of the Sea Gates (PC) – 4.10. Star Wars: Battlefront 2 open beta (PC, PS4, Xbox One) – 6.10. Lady Layton: The Millionaire Ariadone’s Conspiracy (Layton’s Mystery Journey: Katrielle and the Millionaires’ Conspiracy) (3DS) – 6.10. Middle-earth: Shadow of War (PC, PS4, Xbox One) – 10.10. Age of Empires Definitive Edition (PC) – 10.10. Arktika.1 (Oculus Rift) – 10.10. The Evil Within 2 (PC, PS4, Xbox One) – 13.10. South Park: The Fractured But Whole – (PC, PS4, Xbox One) – 17.10. Elex (PC, PS4, Xbox One) – 17.10. Rogue Trooper Redux (PC, PS4, Switch, Xbox One) – 17.10. Etrian Odyssey 5: Beyond the Myth (3DS) – 17.10. Axiom Verge: Multiverse Edition (PS4, Vita, Wii U, Switch) – 17.10. WWE 2K18 (PC, PS4, Xbox One) – 17.10. Gran Turismo Sport (PC, PS4) – 17.10. Cities: Skylines – Green Cities (PC) – 19.10. Fire Emblem Warriors (New 3DS, Switch) – 20.10. Destiny 2 (PC) – 24.10. Road Rage (PC, PS4, Xbox One) – 24.10. Nights of Azure 2: Bride of the New Moon (PS4, PC, Switch) – 24.10. Assassin’s Creed: Origins (PC, PS4, Xbox One) – 27.10. Super Mario Odyssey (Switch) – 27.10. 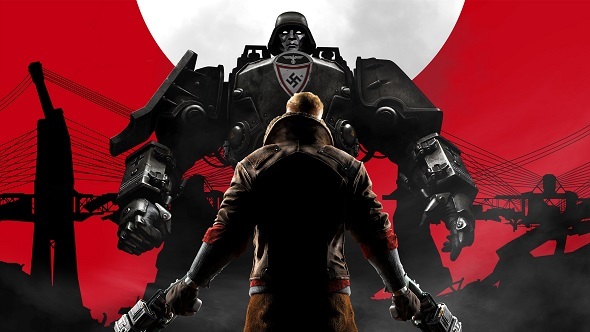 Wolfenstein 2: The New Colossus (PC, PS4, Xbox One) – 27.10. Bubsy: The Woolies Strike Back (PC, PS4) – 31.10.